On Easter Day Christians celebrate God's resurrection of Jesus, confirming His status as the Son of God. For those who trust in Jesus' teaching, passion, death, resurrection and ascension, physical death is only a doorway to eternal life. Anyone who chooses to follow Jesus is promised a life with Him in His Father's house "...you believe in God, believe also in Me. In My Father's house are many mansions; if it were not so, I would have told you. I go to prepare a place for you..."
Alleluia! He is risen indeed! Major Parish Church status requires St. Patrick's PCC to consider, together with the congregation, the Patrington community, and other consultees and bodies how best to conserve the magnifcent and internationally-known architectural gem, dedicated to God and St. Patrick, which stands at the heart of our village - St. Patrick's Church. The PCC agreed on 29 January to begin work on compiling a Conservation Management Plan (CMP), as recommended by the Church Buildings Council. More of this later! On St. Patrick's Day (17 March), we dedicated the the woodcarving next to the path from the car park to the north porch at a special service. The Gift Day held in the Market Place on the morning of Saturday 16 March raised some £430 for church funds - always very welcome, as running and maintaining our lovely building is an expensive business. The ceilidh in the church on Saturday evening had good music, good wine and food, good company and dancing (some good, all energetic). If you weren't there, you missed an ejoyable evening. St. Patrick's PCC has long wanted to have toilet facilities in the church. As we are committed to preparing a CMP, which will take time to prepare and we know we will need substantial grants to progress it, we requested approval from the Diocesan Advisory Committee for a temporary toilet, located in the south porch. The Chancellor of the Diocese approved this proposal and we now have a toilet in situ. It is entirely free standing other than service connections, does not affect the fabric of the church and will be removed when permanent facilities are installed. Unfortunately space and access constraints mean it is not suitable for people with disabilities. It will be available for church services, all church events, organised parties and whenever the church is stewarded. It is NOT available for use by casual visitors other than by prior arrangement with one of the Church officers. The church is open daily from around 9am to 5pm, or until dusk if earlier. Access for ambulatory visitors from the car park on High Street is up the steps between the handrails and direct to the north porch. Wheelchair users' access is through the gap in the east wall of the car park, through the lychgate and again to the north porch. There is a ramp for wheelchairs just inside the porch to help negotiate the entry step. Entry to the church from Church Lane, to the south of the church, is via the kissing gates and the paths leading to the north of the church. These routes are not accessible to wheelchair users. There are some areas of the churchyard cordoned off for safety reasons pending attention from the Patrington Parish Council, who are responsible for churchyard maintenance. If you are interested in exploring our beautiful church but do not wish to participate in a church service, we respectfully suggest you avoid service times (shown in the calendar). If you would like to organise a group visit, please contact the PCC Secretary in advance, so that clashes with other visits or activities are avoided. 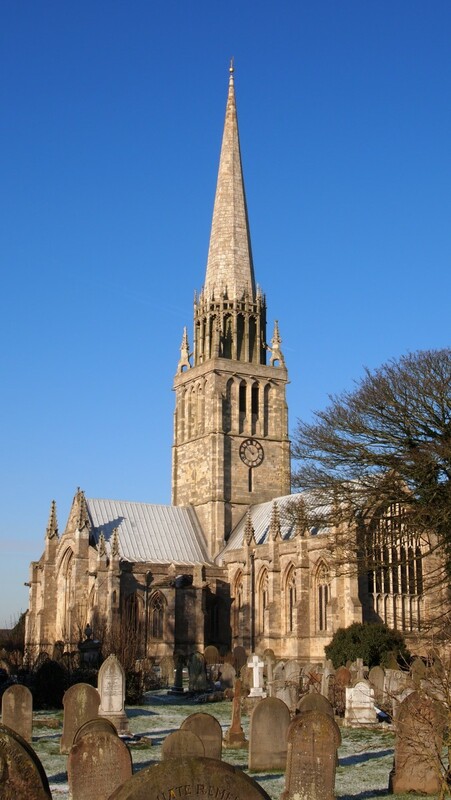 We advise that a group visit covering the whole of the church will take a minimum of two hours, three hours if a tower tour is included.